As I mentioned in my previous post I was in Napa Valley for a couple days doing some wine tasting and having a good ol’ time. Calistoga is doing a ”Passport Weekend” (2 month long weekend) where you can try 16 different wineries on the list in the Passport. One of the stops was at Chateau Montelena. Montelena is famous because they were the ones that put Napa Valley on the map by beating several of the top French wineries in the annual wine competition. See the movie Bottle Shock if you want to know more! 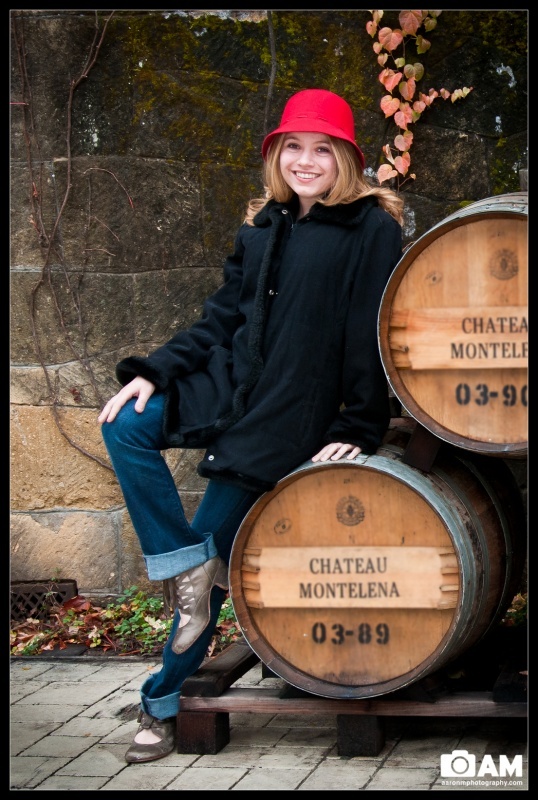 We stopped at Chateau Montelena, had some wine (which wasn’t all that good) and then we went outside to snap some photos. I didn’t intend for this photo to come out so well but her smile and pose were so perfect I had to pull her away from the rest of the photo and single her out here!